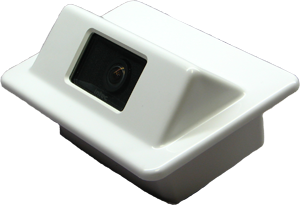 INTEC’s CVC470HFM Flush Mountable Mobile Safety Camera offers the widest field of view in an easily flush mountable, aesthetic appearance enclosure. The flush mount enclosure is paintable and provides the proper angle for most vertical surface installations. The CVC470HFM features an internal thermostatically controlled heater to aid visibility in colder climates and is backed by an industry leading, five-year warranty. As a global leader, INTEC’s technology, innovation and forward thinking continues to set global standards for quality, reliability and performance in the industry. Our products are backed by unparalleled warranties and a dedicated engineering and sales team ready to solve your vehicle safety camera requirements.